I have to force myself not to stop and shoot in this town often. I love it and its got so many gifts photographically. Plus its like an old home that you used to live in. Actually worked in the town for about 6-7 years and loved it. It’s where I started my career in Newspapers. It’s the location of the first business I opened. It’s the town my wife grew up in. Its been the spot of many important meetings, conversations and dinners in my life. Not to mention some wonderful friends from there that I still maintain relationships with today. I found a few old shots buried in a folder. Wish I had the negatives with them for a better quality scan but what the hell. Would rather post them, than spend time searching. 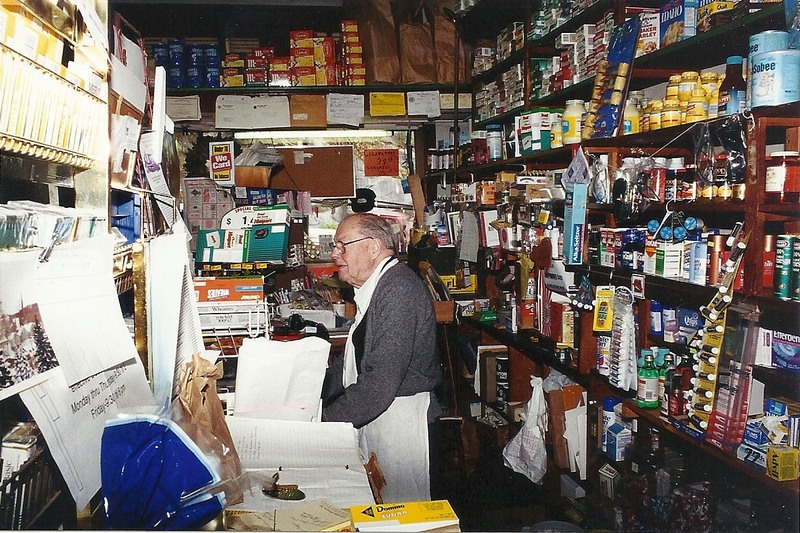 But I do know I have to find the negative for the picture of Mr Yates behind the counter of his store (above). It brings back fond memories of running over there on hot summer nights and getting a handful or two of 5 cent Popsicle’s and a pack of smokes. If it was payday maybe the 10 cent fudgecicle’s or ice cream sandwich’s. For our plant didn’t have A/C so summers we baked in the pressroom area. Fernand Tersiguel standing outside his establishment. 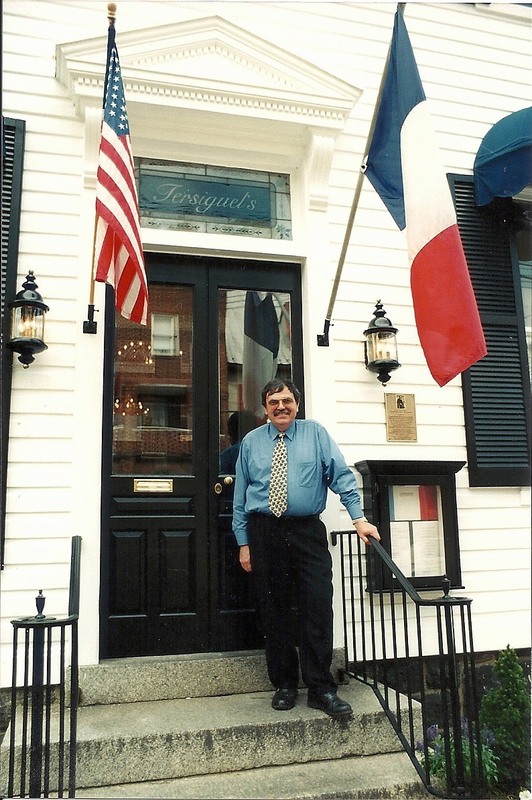 This shot of Fernand Tersiguel on the steps of his restaurant was a staple also of old EC. I was glad to see his Son continue the fine dining tradition there. It’s been a while, maybe I should return for a great meal one night. 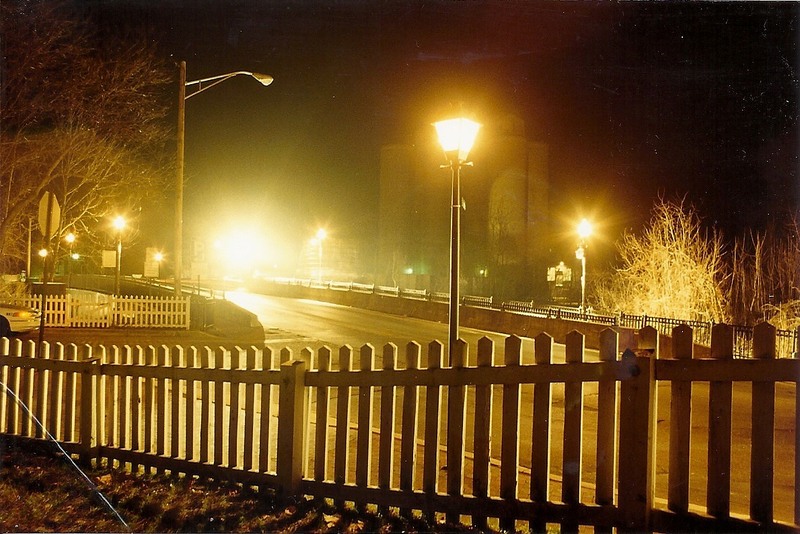 And speaking of night I had these two old shots down by the bridge as I was leaving work late one evening. Yeah our office for our own local paper was behind this picket fence and it was a wonderful spot. The bridge over the Patapsco river and looking at the mill in the background. 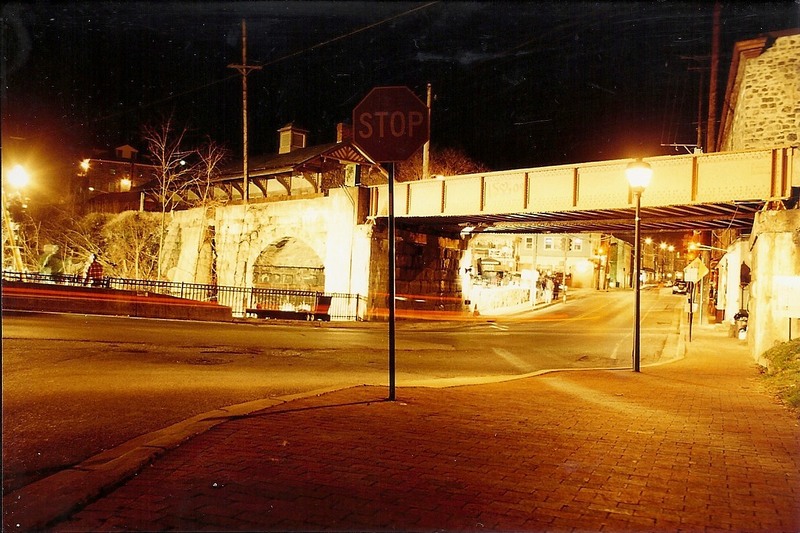 Looking up Main Street under the RR bridge.